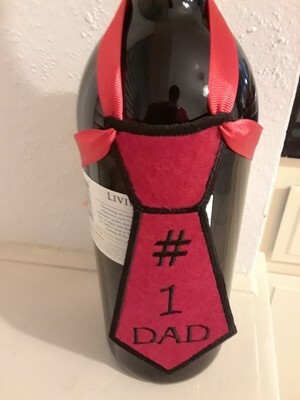 This is my tie bottle apron for Father's Day. One with red ribbon, and one with black ribbon. I used the idea from Sewmun, when she posted her project a few days ago. I forgot to remove the label. Great idea and not your typical tie for dad for Father's Day! Bet he loved it! What a perfect gift! Probably would be good for Mom too! 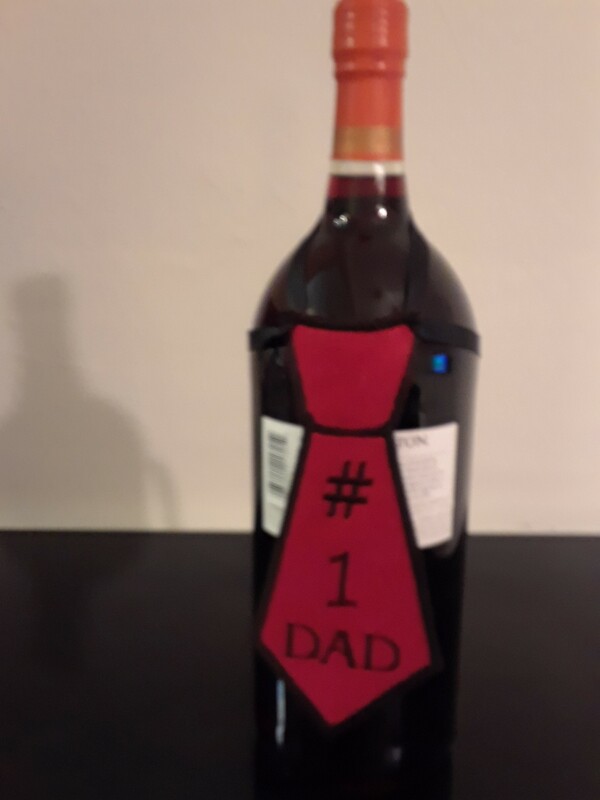 Very smart looking bottle and such a great gift. Sandra. great idea. Is it felt? Thanks, but the idea was Sewmun's. Hope you didn't mind me using your idea. Son in law loved it.